Seldom has a topic penetrated and dominated the public consciousness as actively as the issue of climate change. The European Union in particular is one of the most ambitious political actors worldwide when it comes to promoting greener energy and implementing measures to reduce greenhouse gas emissions. One such measure is a directive which aims at replacing 10 per cent of the fossil fuels used in transportation with biofuels by 2020. The majority of Europeans commend the effort, all the while not realizing that these biofuels are largely produced in developing countries – at a devastating cost. The sun rises over green fields and lush groves. The workers are getting ready for the day, smiling at the camera as the truck takes them to the jathropa plantation. In the background: the sign of Sun Biofuels: "Sustainable Clean Energy". The film – commissioned and funded by the company in 2010 – emphasises the humanitarian nature of the work Sun Biofuels commits to in Mozambique and Tanzania: offering work to the locals, building roads and wells for the villagers, providing education and medical care for those who otherwise could not afford it. As the narrator explains during the final scenes: "with the vital imperative of business success comes great responsibility to both the people and the environment … A responsibility the company is committed to." Same company, different film. Damian Carrington, a reporter for the Guardian, went to the Kisarawe district in Tanzania in November 2011 to report on Sun Biofuels´ activities. The picture could not be more different. No picturesque landscapes and happy workers. The land is arid and almost 93 per cent of the villagers are unemployed. There are no schools in the village, no health clinics, no fortified roads. Instead of the promised wells, the people got a single hole in the ground which carries no water. Halima Weli, a resident from Mtamba village, complains that with the selling of the land her children will not have anything to inherit. "Whatever you do", she says to the camera, "don´t listen to the white men´s promises!" In 2009, Sun Biofuels Ltd, a UK-registered biofuel company, began clearing land to establish an 8,200 hectare biofuel plantation in Kisarawe, Tanzania – the equivalent of 11,000 football pitches, which is all the arable land the residents of the 11 affected villages have at their disposal. Three years after the start of the land clearance, the locals are now worse off than prior to the company´s arrival. Tim Rice, Biofuel Policy Advisor for Action Aid, explains that many people have received no or very little compensation for their land taken four years ago. In August 2011, the situation worsened increasingly. Like many biofuel companies before it, Sun Biofuels went bankrupt and fired 650 of its 700 local workers. The company was immediately sold to UK-based Lion’s Head Global Partners which decided to scale back the operations to a small pilot project. Only a handful of people are now employed, while the damage to the land is largely irredeemable and the villagers are suffering from food insecurity in a country where starvation and malnutrition are already a life-threatening issue. 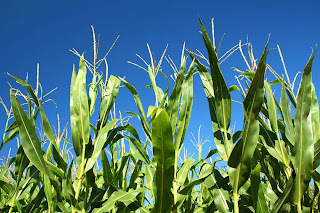 Sun Biofuel is only one of numerous European companies that have set out to developing countries around the world in the search of cheap land to produce biofuel feedstock. Corporations such as Portugal’s Galp Energia SGPS SA, the U.K.’s D1 Oils Plc and Agroils Srl of Italy are joining firms from Canada and Israel in buying acreage in Africa, South America and South-East Asia. Sun Biofuel´s mission statement refers to the on-going expansion of the biofuel market and the ever-increasing demands for it as the motivation behind its activities, citing one event in particular: the ratification of the EU´s Renewable Energy Directive. Although biofuels have been widely explained and discussed in the press, the cited Guardian article and the mainstream media have in general failed to explain how the dire conditions created by biofuel companies in developing countries are encouraged and perpetuated by Western mandates and directives. The above-mentioned European directive stands out in particular. In 2009, the European Union (EU) adopted the Renewable Energy directive (RED) which requires renewable energy sources to constitute 10% of the final consumption of energy for transport in each EU member state by 2020. The EU counts on private companies to cater to biofuel needs and has already given out €88bn in incentives, subsidies and tax relief to the biofuel industry. Although motivated by good intentions, the directive presents a number of problems. First of all, most biofuels destined to reduce GHG emissions in transportation are so-called first-generation biofuels, meaning they are produced from crops that could otherwise be used for human consumption. Second- and third-generation biofuels are better regarded since they are produced from algae or waste products. However, they require more sophisticated technologies and are more capital-intensive. According to experts, market-scale production of these biofuels will not be profitable for another 15 years. In view of that, EU member states submitted action plans outlining how they would meet this 10% target in 2010. As Barbara Ekwall, Right to Food Coordinator for the Food and Agriculture Organization of the United Nations (FAO), explains, these plans showed that over 88% of the 10% target is to be met through first-generation biofuels. "Whereas there is a general surplus in agricultural output in the EU," she says, "the production of first-generation biofuels represent a serious risk of food shortage in countries such as Tanzania where populations are dependable on the land to feed their families and themselves." The EU has increasingly come under fire for heavily subsidising its agriculture (€53,500m, or 47% of the EU budget, in 2011), leading to surplus amounts of produce which is then ´dumped´ on foreign markets, creating artificially low global food prices. As Timothy Searchinger, research scholar at the Princeton Environmental Institute, and his colleagues argue in a special report published in Science magazine, the surplus crops, such as sugar beet, could be used to produce biofuels in Europe. Alternatively, part of the subsidies could be redirected to finance better seeds and equipment for farmers in developing countries in order to increase their productivity to the extent that they can "even grow both food stocks and biofuels without the need for additional acreage", as argued by Mr Rice. Another problem with the directive is the fact that vast acreages of land are necessary to produce the amounts of biofuel required to reach the EU´s ten per cent target. According to the Gallagher Review, an independent inquiry commissioned by the UK government, between 22 and 31.5 million hectares of land could be needed in total to reach the EU’s 2020 biofuel goal. However, Europe itself has less than 300.000 hectares of arable land, meaning that companies catering to the European biofuel needs are bound to take their production elsewhere. More often than not, "elsewhere" turns out to be the developing world. In their attempts to get cheap biofuels onto the European markets as quickly as possible, many biofuel companies make promises to the local communities to get them to sell their land – promises they may not keep, as the activities of Sun Biofuels illustrate. A further concern is the practice of "land grabbing", where companies acquire strips of land they claim are "unused". They argue that the "grabbed" acreages are lying idle, and might therefore just as well be used for biofuel production. Yet, the World Food Security´s Panel of Experts on Food Security and Nutrition has stated that: "It is often asserted that there is much ‘available’ land in Africa and Latin America. However, there is rarely any valuable land that is neither already being used in some way, nor providing an important environmental service." Similarly, Professor Ralph Sims for the Renewable Energy Unit at the International Energy Agency points out that it is extremely difficult to identify ´unused´ land in developing countries, since "reliable field data is lacking on land tenure structures as well as current land-use through smallholders and rural communities." Finally, the increased demand for first-generation biofuels has a significant impact on global food prices. The International Food Policy Research Institute (IFPRI) has stated that "in addition to magnifying the tensions between supply and demand, the rigidity of biofuel mandates exacerbates price fluctuations and magnifies global price volatility". On top of that "biofuels gradually increase the link between energy markets (which are highly volatile) and food markets (also volatile), further increasing the volatility of the latter". 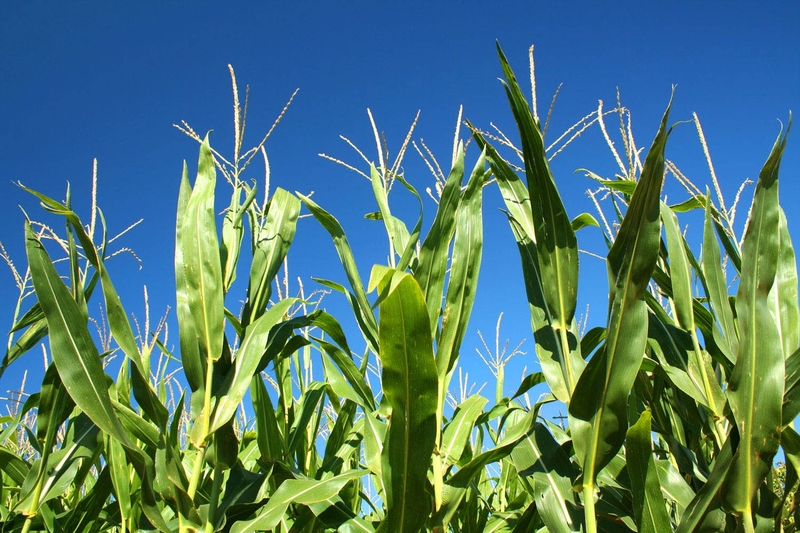 A similar report written by 10 inter-governmental organisations including the World Bank and the Food and Agricultural Organisation, concludes that "biofuel production will exert considerable upward pressure on prices in the future". Evidence of unscrupulous corporate behaviour and the damaging impact of biofuel production on the world´s most vulnerable populations is alarmingly spreading. As the Renewable Energy Directive actively encourages biofuel production, one wonders: why does the EU not step in to mitigate the damage? The commission shall, every two years, report to the European Parliament and the council on the impact on social sustainability in the [Union] and in the third countries of increased demand for biofuel, on the impact of [EU] biofuel policy on the availability of foodstuffs at affordable prices, in particular for people living in developing countries, and wider development issues. Nonetheless, Ronald Steenblik, Senior trade policy analyst in the OECD Directorate for Trade and Agriculture, states that the article presents some serious flaws. One problem lies in the fact that the baseline study for the 2012 report bases itself on data available from 2008. As Steenblik explains, this means that it will not look at biofuels consumed in 2011 and 2012, and that it will not look at biofuels production which is planned or has started as a result of the projected demand for biofuels created by the Renewable Energy directive. As a result, large amounts of land grabs and other negative effects in developing countries will not be covered by the EC’s report unless the biofuels produced reached European consumers by 2010. Moreover, the report fails to investigate human rights violations linked to biofuel production. Mr Rice says "there is no attempt to examine issues such as, for example, the displacement of people, the impacts on traditional customs, or the loss of livelihoods from the land". He complains that the study "contains nothing on workers conditions, wages, local food insecurity and so on". In recent years, biofuels have come under fire for various reasons, with experts claiming that first-generation biofuels emit as much greenhouse gas as fossil fuels while the production of second- and third-generation biofuels is too cost- and time consuming. Among the emerging criticisms, however, the issue of protecting populations in developing countries must not be neglected. Article 208 of the Lisbon Treaty states that "the European Union shall take account of the objectives of development co-operation in the policies that it implements which are likely to affect developing countries". This entails that, the EU must not undermine its own development work by implementing counterproductive policies in other areas such as energy. In addition, article 6 of the Treaty specifies that the EU is bound to respect the rights contained in the charter of Fundamental Rights, including the right to property and to fair and just working conditions. Yet, the people in Kisarawe, and many like them, are left with nothing. Nobody stands up for their right to food and water, to fair treatment, to their land. If the EU is to honour its commitment to supporting development and defending human rights within the execution of all its policies and mandates, it has to implement some changes concerning the Renewable Energy Directive. The EC needs to introduce robust and binding social sustainability criteria for all bioenergy production and pursue all avenues to hold European biofuels corporations accountable for their actions. Only then can the EU stay true to its pledges instead of merely making more "white men´s promises".